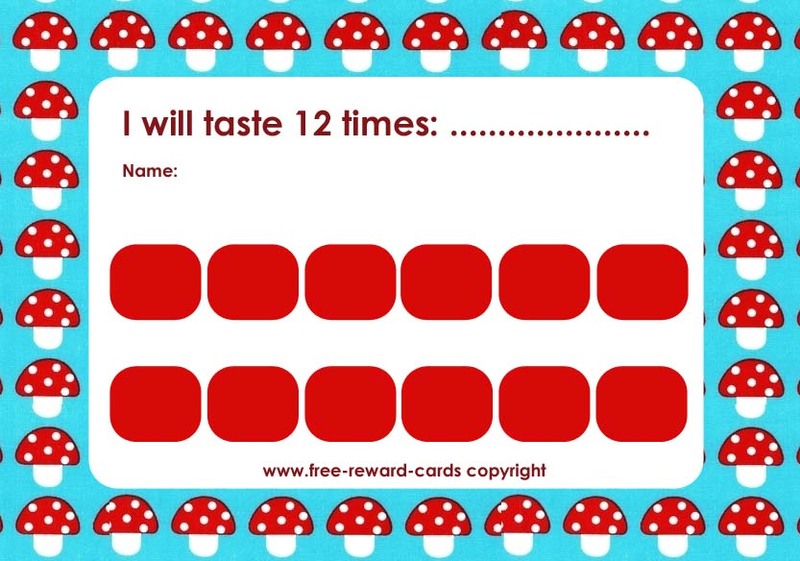 Taste Card. Decide together with your child what kind of fruit or vegetable he is trying to learn to eat. On this card you can track how often he has tasted the chosen vegetable or fruit. Since children are used to a taste after 10 trials, they learn to eat the food. It's likely that your child will eat the chosen vegetable hereafter! All these reward charts are free printable via www.free-reward-cards.com. The cards are ment to make parenting more fun and easy for both parents and children.